May is electrical safety month: Remember to call before you dig! Spring is here, so let me ask you: are you planning any upcoming home improvements? Do these plans require you to dig up any dirt? Well, let me give you the dirt on digging before you get started! If you’re planning on doing any work related to landscaping, driving landscaping stakes into the ground, new fencing, anchoring supports for decks and swing sets, planting trees, removing tree roots, installing a new retainer wall, or even projects on a smaller scale, it’s always best to call before you dig! The Ohio Utilities Protection Service (O.U.P.S.) is there to help you out. As a homeowner it is important that you call O.U.P.S. at 8-1-1 or 1-800-362-2764 because not only is it best practice for your safety, it is required by law. O.U.P.S. asks that you call or contact them online by completing an e-dig request form within two to ten business days before the start of your project. Why should you make this call? O.U.P.S. will help you determine the exact location of utility lines and the underground structure surrounding your home. What if you don’t make the call? By not calling you will risk costly property or environmental damage, explosion or fire on your property, utilities service interruptions, legal issues, injury, and possibly death. What if you hit a line? For the protection of yourself and your crew, stop working and evacuate the area at once. You should never try to repair any leaks or damages on your own, nor should you use your cell phone or anything else that can potentially cause a spark in the vicinity of the damaged line. If you feel the damage is of an urgent nature, such as a gas line leak, then contact 9-1-1 immediately. You should call the utility company as well as O.U.P.S. Last Saturday the City of Cleveland was a buzz of activity as residents and visitors converged on downtown streets for the annual Winterfest Celebration and in support of local businesses as part of Small Business Saturday. As a sponsor of Winterfest, Cleveland Public Power, and our utility partners – Cleveland Water and Water Pollution Control were in the midst of Playhouse Square activity leading up to the spectacular lighting and fireworks display. Walking down Euclid Avenue Saturday began to feel a bit nostalgic – there were thousands of people on both ends of the street checking out the Pop-Up shops on Playhouse Square as well as the shops in the 5th Street Arcade. Euclid was not the only busy street, as activities were available in the Old Stone Church, Cleveland Public Library, and the restaurants on E. 4th Street were busy as well. If you didn’t make it downtown last week, why not start this Sunday afternoon in University Circle, with the Holiday CircleFest celebration and then head downtown to view the lights along Playhouse Square and Euclid Avenue. During CircleFest, more than a dozen of University Circle’s renowned museums, gardens, galleries, churches, and schools open their doors free of charge and offer an afternoon of activities, music, food, fun, and shopping. Visitors can look forward to live performances from talented musicians, craft making, historic displays of holiday toys, storytelling, live animals, the city’s best gingerbread house competition, and much more. All in all, “It’s beginning to look a lot like the holidays” in Cleveland! 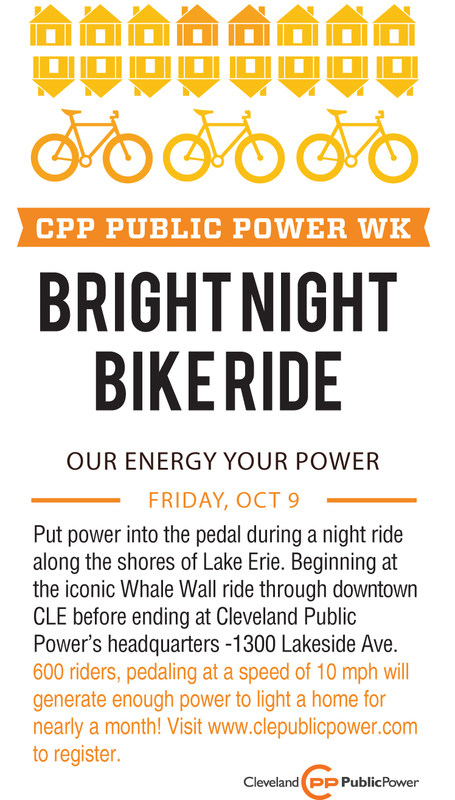 Join Cleveland Public Power in celebrating Public Power Week by taking a night bicycle ride through downtown Cleveland! So gather up your friends and join us for a ride around town. 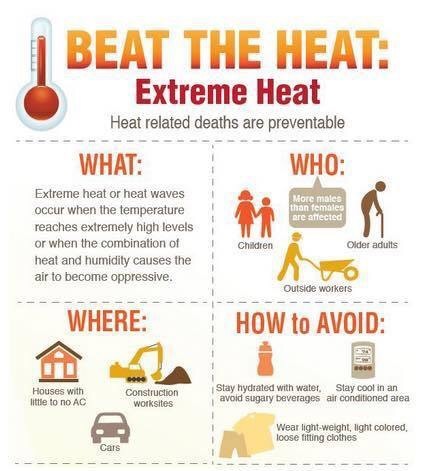 If you need more information give us a call at 216.664.3922 ext. 172 or 254.